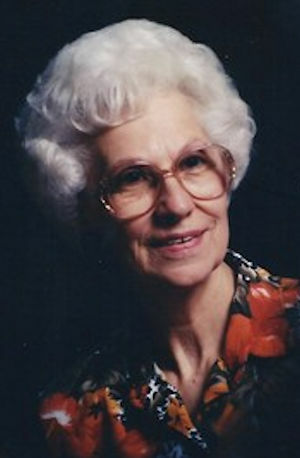 Obituary – Berry, Virginia Lucille (Brinkman) « Perry High School Alumni Association, Inc.
Virginia L. Berry was born May 23, 1932 in Yukon, Oklahoma to Hubert Orville and Lorene (Braun) Brinkman. 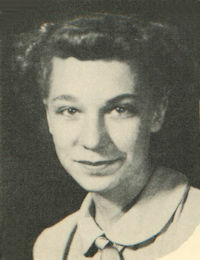 She graduated from Perry High School in 1950. Mrs. Berry had been a Wagoner, Oklahoma resident since 1969. Before retirement she was employed as a dietary supervisor in nursing homes. Following retirement she enjoyed active participation in the Wagoner County Senior Citizens organization. Her favorite hobbies were sewing and embroidery. Mrs. Berry loved taking care of her grandkids and great-grandkids, and she was looking forward to the birth of her first great-great-grandson, Owen. Mrs. Berry died at her granddaughter’s home in Salina, Oklahoma on Thursday, February 18, 2016. She was preceded in death by her mother, Lorene Brinkman, father, Hubert Orville Brinkman, a daughter, Ladonna Skalenda; a son, David Skalenda, and a sister, Carolyn Gordon. Survivors include her daughter, Radonda Owen of Wagoner; six grandchildren, Mark Owen of Salina, Eric Owen and his wife, Michelle, of Wagoner; Kara Taylor and her husband, Terry, of Salina, John Faulconer of Wagoner, Dalton Skalenda of Wagoner, and Heather Hart and her husband, Dean of Wagoner; eleven great-grandchildren; two brothers, Louis Brinkman and his wife, Betty of Edmond, and George Brinkman and his wife, Barbara, of Chickasha; a number of nieces and nephews; other relatives and friends, including her special friend, F.D. Combs. A Visitation will be held Monday evening from 5:00 P.M. – 7:00 P.M. at Mallett Funeral Home and Crematory in Wagoner. The Funeral Mass will be at 10:00 A.M. Tuesday, February 23, 2016 at Holy Cross Catholic Church in Wagoner. The Rev. Father James Van Nguyen will officiate. Pallbearers will be Mark Owen, Zach Wiley, Dalton Skalenda, Eric Owen, John Faulconer, and Terry Taylor. Honorary Pallbearers will be Kamron Twomey, Tyler Wiley, Dean Hart, Alan Gordon, and Louis Jr. Brinkman.